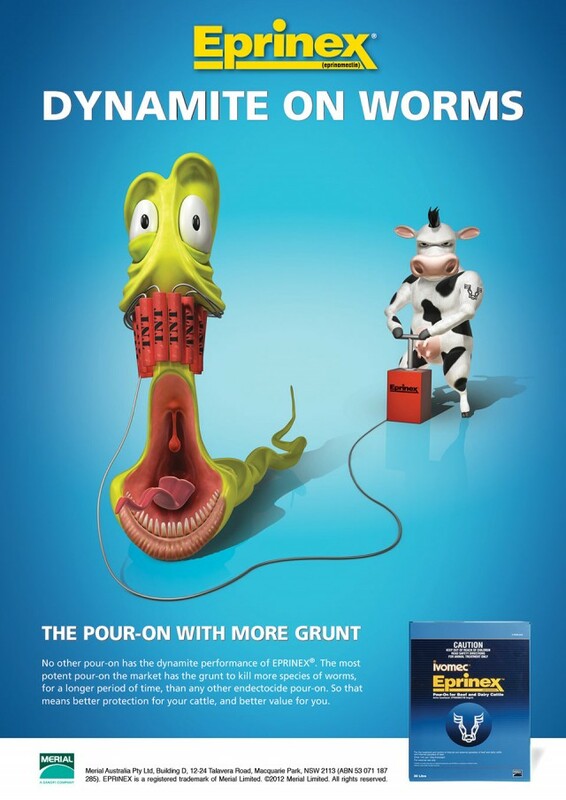 This print and TV campaign for our client Merial, saw us take an animated look at the problem of worms on cattle. The visual hyperbole dramatises what makes Eprinex the most powerful killer of parasites and worms. The TV and press is supported by in-store communications. The challenge for Splash was to leverage the overseas communications strategy for the Australian marketplace, and create animated characters in adversarial scenarios, with a humorous twist. As an advertising agency, it’s rare, yet thoroughly enjoyable, to have such creative license.